If you DJ in a lot of different locations, it can sometimes be very handy to have your library ready to go on a USB Drive. This means you can show up to the club or party with just your USB drive and plug into an existing setup. You can download Serato DJ and use the offline player to prepare your files at home without any DJ controller connected. If you are new to Serato, you can create playlists - these are called Crates. You can add music to Crates, as well as put Crates within other Crates to make Subcrates. To add music to a Crate, simply drag music files or a folder from your hard drive directly into the library area of a selected Crate, or onto the Crate name. Check the manual for more information here. Once you have imported your music, you will need to click the 'Analyze Files' button, making sure the 'Set Auto BPM' and 'Set Beat Grid' options are checked. NOTE: This may take a while with large music libraries or with slower computer processors. You can now make your library portable on a USB drive. 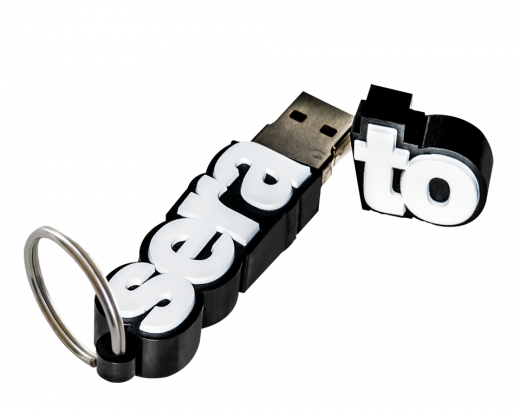 This will allow you to copy your existing Serato DJ music and your Crates to the external drive. Once your Crates and music have been copied to the USB drive, you can simply plug in the drive to someone else's laptop, and your Crates and music will show up. You can use it and DJ with it, then when you eject the drive, no trace of the files will be left (so nobody will cheekily grab your hard sought after tunes). For some gigs you may not need or want to bring your computer, however you have some Crates that you simply can't live without. Serato DJ makes it easy to copy these crates to a USB drive for use on another computer. 1. Open the Files panel in Serato DJ. 2. Click on the crate you wish to copy. 3. Drag the crate onto your USB flash drive in the Files panel. You will then be prompted to either 'copy' or 'move' - make sure you select 'copy'. 4. A progress bar will now appear below the files panel. Once this is completed you can remove your USB flash drive (make sure you 'eject' the drive as you would normally). 5. You now have a copy your Crate on your USB drive (as well as the audio files). Now you can simply plug your USB drive into another computer running Serato DJ and your Crates will appear, ready for you to use. NOTE: It's very important to ensure your external HDD and it's contained files have the correct read & write permissions, are formatted in the correct file system, and are not password protected. The Formats for External hard drives section from our Backing Up your files article.